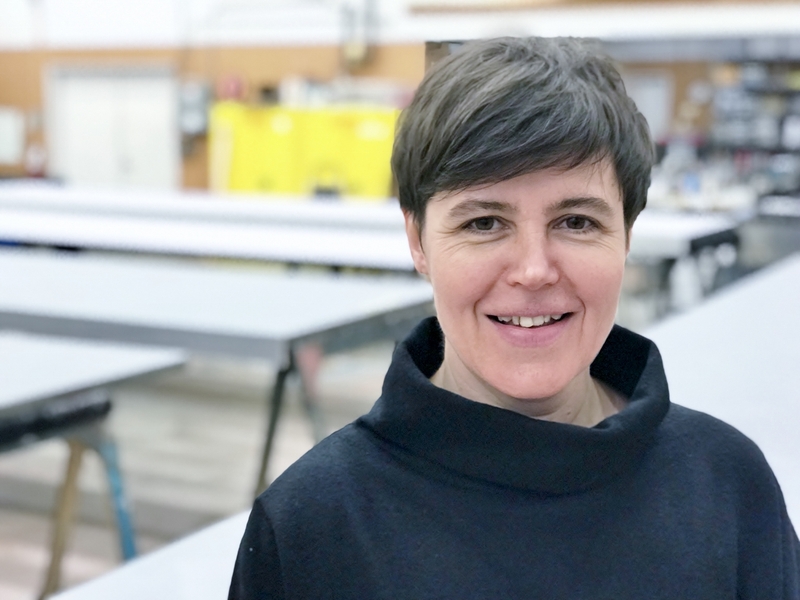 When Rebecca Cribbin was introduced as the Guthrie Theater's new production director at Monday’s annual meeting, lifetime trustee Margaret Wurtele went over to meet her, and inquired about her accent. “It’s Texan,” said Cribbin, who spent the past two years as production director of the Dallas Theater Center. Wurtele laughed. Any whiff of Texan was swallowed up by Cribbin's British inflection. A native of Manchester, England, Cribbin, 48, spent the bulk of her career at London’s Royal Shakespeare Company, rising from sound engineer to become production manager, a post she held for 14 years. The Guthrie Theater is getting a quick-witted professional with a wide range of experiences in Europe and America. In 2015, she took a job at New York’s Park Avenue Armory, a space for large, epic-scale installations and performances. “It was interesting to figure out how to get 200 sheep onstage,” she said. She was recruited to Dallas less than a year later. When the Guthrie opportunity arose following the departure of David Stewart, who left to take a job at Disney World, Cribbin leapt at it. She is also keen to explore the Twin Cities and region. “This is a truly interesting and beautiful place,” she said, noting features such as the architecture, the dynamic arts and culture scene and the mix of nature and biking trails. Cribbin is part of a performing-arts power couple. Her wife is well-regarded American-born choreographer Ann Yee, who did the musical staging for the 2017 Broadway revival of “Sunday in the Park With George” headlined by Jake Gyllenhaal and Annaleigh Ashford. She also choreographed dance sequences in the French-Italian love triangle rock film "A Bigger Splash," headlined by Ralph Fiennes and Tilda Swinton. Guthrie artistic director Joseph Haj said he was excited to welcome Cribbin. "She's a magnificent addition to the theater,” said Haj, who still needs to fill two other senior positions — managing director and development director — left vacant after Jennifer Bielstein and Danielle St. Germain-Gordon, respectively, were poached earlier this year by cultural institutions in San Francisco.